Thanks to a digitzation order from a researcher, the Hydes’ copy of the 1893 auction of the library at Auchinleck, including books which belonged to Boswell, is fully scanned and available online. 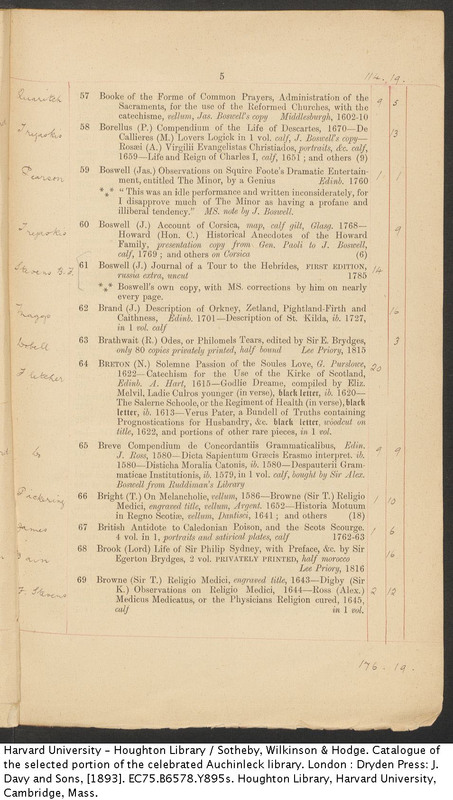 The catalog is extensively annotated with the names of purchasers and the prices they paid at the sale. The catalog will be used as part of the ongoing effort to document James Boswell’s library at LibraryThing.